Random neighborhood folks: So…did you hurt foot running or hurt yourself at the gym? Me: Nope, I hurt my hip. I got in a fight with the sidewalk–it won. True Story. Well, almost. I didn’t “fight” with the sidewalk. 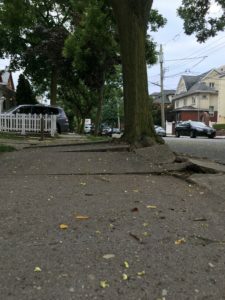 Rather, in mid-July the bottom of my left foot made forceful contact with an uneven, highly elevated piece of sidewalk during a routine morning walk. Over the course of the next several days, I began to notice pain in my groin and in the front crease of my hip. I sought medical attention at the point where I was limping and couldn’t walk without pain/discomfort. 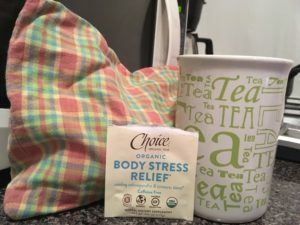 Long story short—after a visit to the urgent care, followed by a visit to an orthopedic doctor when the pain did not cease after 2 weeks, I was told I have a stress reaction in my hip. While not as severe as a stress fracture, it is just as painful and treated similarly. 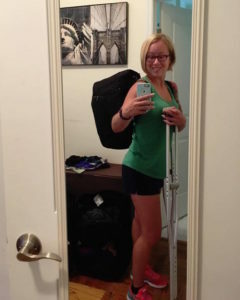 I was told to keep doing what I’m doing by using crutches, resting, and minimizing weight bearing on the left leg/hip. Having used crutches a few times in the past, I consider myself a skilled “crutcher” and didn’t get too bummed until I realized that crutching around NYC is way different than in smaller cities. 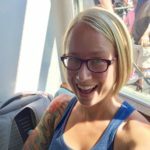 As I finally sit down to put this post in type, I’ve been on crutches for 3.5 weeks. Until recently, I mostly walked and biked everywhere, with the occasional subway ride into Manhattan. Other than the once-a-week loop around the block to move my car for street sweeping purposes, I had only driven my car TWICE since arriving in early June! I still avoid driving as much as possible, and to be honest, it’s not necessary when most of what I need is within a few blocks. Nearly everything, however, takes longer on crutches. 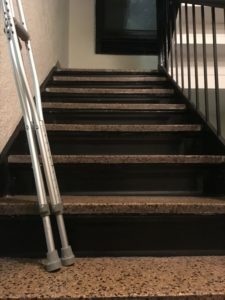 At first, I was annoyed, overwhelmed, and frustrated — I rarely finished my daily “to do” list, taking 4 flights of stairs up and down to get to/from my 4th-floor apartment building was tiring, and other parts of my body began to ache from the stress of crutching around. After a few days, though, I accepted this new (and temporary) reality and welcomed the challenge to not to let this experience ruin the final month of my time in NYC. I still have a couple weeks left before making the ~1300-mile drive to MN, so it may be a little early to say, but I think I’m doing OK. At the very least, the past few weeks have given me much insight and some practical lessons in time management, humility, and gratitude. 1. People or other things may unexpectedly to trip you up or get in the way of your goals. Others’ actions can impact our ability to make it to our destination without disruption. When I’m crutching around on the city, I become much more vigilant of other walkers and of what might happen in order to decrease the chances of additional injury. Most of the time I wonder if they going to look up from their phone and see me in front of them. I’m also always on the “look out” for uneven patches of sidewalk! Similar to behavior change, we need to think ahead about how others’ behavior might impact our own behavior and goals. For example, if your goal as a manager is to check in more often with your employees, you need to be prepared that your employees might tell you something unpleasant. If you are trying to incorporate more whole foods into family dinners, you need to be prepared for potential resistance from family members. 2. Taking many small steps vs. fewer large steps may actually get you to where you want to be quicker and with less discomfort. Embrace the slow pace, especially at the beginning of your behavior change journey. My Brooklyn apartment is in a 4th-floor walk-up building with 40 individual steep-ish stair to go up/down every time I choose to come and go. I admit I tried to take the stairs like any ‘normal’ person would—one step over the other. Then, I experimented with placing both feet on every step, and I found that by taking more small steps, I could ascend and descend the stairs more quickly and without pain. Similar to behavior change, we mustn’t try to do too much at once. If we do, we put ourselves at risk for burnout and setbacks, and we are more likely to come into contact with negative consequences versus positive ones. Allow yourself time to master and become fluent with the basics. If you are someone who is trying to increase your physical fitness and have a goal to run your first 5k but never run, you’d want to start by taking regular brisk walks first in order to build up your stamina and strength to run. This is typical of many “couch to 5k” training programs. 3. Other people may surprise you with their kindness and support. Just as some people might get in the way of our goals, either unintentionally or intentionally, others might show up along the way to cheer us on and offer support. I’ve been pleasantly surprised at how complete strangers have offered their help over these last few weeks. For example, I had a neighbor offer to take the bag of recyclables from me when he saw me coming down the stairs, fellow gym-goers offer to restack weights for me, people offer their hand/arm to me as I get on and off the subway train, and a neighbor who brings me tea/food. Similar to behavior change, you’ll often encounter positive comments, reactions, and offers to assist from others who notice your efforts. As a manager, for example, you might notice that your employees are more appreciative of the time you take to spend in conversation with them; you might notice a more positive work culture. If you are someone who is trying to improve your nutrition, you might receive support in the form of others providing tips for quick and healthy snacks, bringing healthier snacks to share at work, or offering to make healthy meals at home versus dining out. 4. Obstacles are inevitable, come in all sizes, but are typically manageable. Being on crutches has affected most everything I do (e.g., sitting at my desk, grocery shopping, doing laundry, going to the gym). Some of these situations and obstacles are small, and in those cases, it just takes a bit of creativity. For example, when I needed to do my do my laundry last week, I knew I couldn’t carry two laundry bags down the stairs and across the street to the Laundromat. My solution was to stuff a single load of clothes into a gym duffle and wear the bag like a backpack—yes, it took more time/trips, but I got it done! Similar to behavior change, we often have to be willing to put on our “creativity / problem-solving hat”. For example, if you had planned to do your workout during your lunch break but had an unexpected change in schedule, perhaps you can fit it in after work or instead enjoy an after-dinner walk with friends/family. In the case of bigger obstacles, be willing to ask for help. I’ll be the first to admit that I like to try to do everything on my own, but being on crutches has allowed me the opportunity to practice asking for help. Asking for help allows you to share your goals with others and gives others the opportunity to support and reinforce your efforts. 5. Track progress and celebrate the small wins. Our daily actions are typically attached to larger behavioral outcomes. Identifying a variety of progress indicators, both objective and subjective, allows us the ability to determine whether we are moving in the right direction. For example, my current goal is to be able to walk with a normal gait, without discomfort and without the use of crutches. 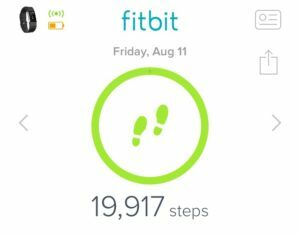 I track daily steps (with my Fitbit), my ability to ascend/descend stairs, my ability to perform mobility exercises, my energy and pain levels throughout and at the end of the day, and the quality of my sleep. I have noticed over the past couple of weeks that pain has decreased significantly, I can walk up/down stairs without pain, and my range of motion and ability to perform certain movements is improving. I’m not where I want to be, yet, but I’m getting there. Similar to behavior change, we should primarily focus on the daily behaviors/actions that, when practiced consistently, will lead us to the desired outcome. In addition, it is wise to look for other indicators of progress. For example, several of my nutrition coaching clients desire to lose weight; however, their focus is on the day-to-day actions they are taking, as well as noticing other “non-scale” related outcomes such as increases in energy, looser fitting clothing, and improved mood. Celebrating the small wins along the way is an excellent form of self-reinforcement to keep doing what you’re doing. And finally…KEEP SMILING!! Okay, this one is simply because I like the way I feel when I smile. I would invite you to try it.